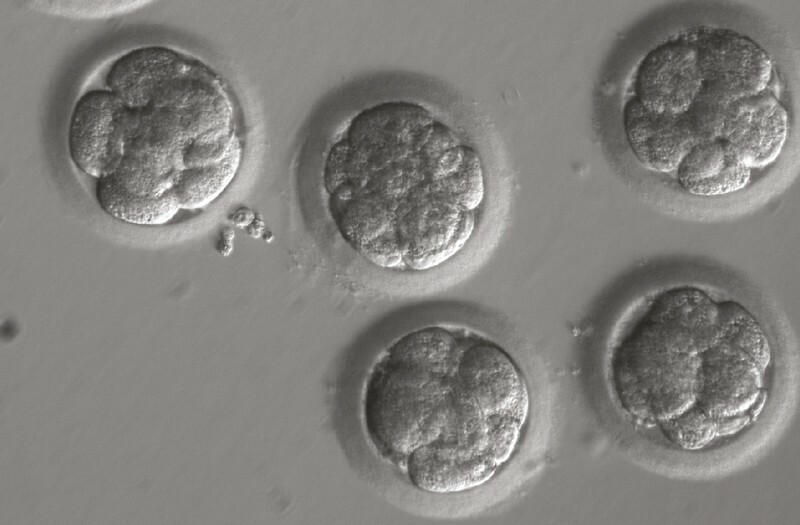 Researchers provide more evidence for their landmark claim that gene editing rid embryos of a disease mutation — but scientists are still arguing over the results. Biologists who last year made a blockbuster — but controversial — claim that they had fixed a disease-causing mutation in human embryos using CRISPR gene editing have released fresh evidence in support of their work. Critics argued that the researchers’ evidence wasn’t persuasive and that the feat did not seem biologically plausible, intensifying the existing controversy surrounding the use of gene editing in human embryos to prevent diseases. Whatever happens next, it is likely that questions about whether it is possible to repair mutations in human embryos will persist until other researchers can repeat the feat — no easy task in a field that is strictly regulated, and even illegal in some countries. Mitalipov’s team was not the first to attempt to correct disease-causing mutations in human embryos — work in China crossed that Rubicon in 2015. But its efforts seemed to be the most promising. The researchers created human embryos by fertilizing healthy donated eggs with sperm from a man who carried a mutated copy of a gene that causes a heart condition called hypertrophic cardiomyopathy. Because humans carry 2 copies of each gene, left to chance, around half of the 58 embryos the researchers created would have carried the mutated copy. But the team used the gene-editing technique CRISPR–Cas9 to seek out and repair any mutated copies of the gene. Genetic testing showed that 42 of the 58 treated embryos had two normal copies of the target gene, called MYBPC3 — many more than would be expected if editing hadn’t occurred. Just one of the corrected embryos contained a mix of edited and unedited cells — a phenomenon known as mosaicism that had dogged past human-embryo-editing studies. In their experiments, Mitalipov’s team provided a normal synthetic copy of MYBPC3 to act as a template for CRISPR to fix the mutation. Surprisingly, the researchers reported that the mutations, which stemmed from the sperm, were instead corrected using the healthy version of MYBPC3 found in the egg genomes. This process of templating from the egg genome is not well understood and was thought to happen only rarely in gene-editing experiments. Numerous critics have since questioned the plausibility of that claim, and have offered alternative explanations for the team’s results. Tony Perry, an embryologist at the University of Bath, UK, says the architecture of an early embryo makes it unlikely that an egg’s genome could serve as template for the repair a mutation stemming from sperm. In the first stages of development after fertilization, the genetic material of the egg and sperm reside in far away, distinct compartments in the embryo, he says: “The genomes are separated by what are, in cellular terms, intergalactic distances.” Perry’s work in mice suggests that CRISPR acts extremely quickly in their embryos, making it unlikely that a maternal genome could guide correction at these early stages5. Perry’s concerns are echoed in one of the critiques published today3, led by developmental biologist Maria Jasin at the Memorial Sloan Kettering Cancer Center in New York City, and stem-cell biologist Dieter Egli at nearby Columbia University (the response was first posted last year to the bioRxiv preprint server). Another possibility, suggest Jasin, Egli and some other critics, is that CRISPR deleted MYBPC3 in the sperm genome and some genetic information around it, instead of actually repairing the gene. If the missing chunk of DNA were large enough, the genetic tests that Mitalipov’s team applied to the embryos would detect only the mother’s version of MYBPC3, giving the impression that the paternal copy had been corrected when it was actually missing. Such deletions occasionally happen when mouse embryos are edited with CRISPR, reports a second team of critics4, led by developmental geneticist Paul Thomas at the University of Adelaide in Australia. These findings echo similar ones reported last month in CRISPR-edited human embryonic stem cells6. “It’s absolutely critical that we fully understand what’s happening in these embryos,” says Thomas. Mitalipov says that his team looked for deletions around MYBPC3 and couldn’t find any within a certain range. In their new data, they provide more proof that the edited embryos carried two copies of the mother’s versions of the gene, and preliminary evidence that CRISPR might also act at later stages in the early embryo, which could explain how the egg genome could provide a template for the corrections. Mitalipov adds that in further, unpublished experiments, his team has corrected mutations in a different gene responsible for hypertrophic cardiomyopathy, and that gene repair again occurred using the healthy maternal copy of the gene in those experiments. Thomas says that Mitalipov’s team still hasn’t fully addressed theconcerns about large deletions. He thinks that the issue will be settled only when others attempt gene correction in human embryos. “That will probably take some time. By their nature, these experiments are strictly regulated or not permitted in some jurisdictions,” he says. Mitalipov is eager for his results to be independently replicated. “People are going to see this kind of repair over and over again with human embryos,” he predicts. He also points to a bioRxiv preprint published earlier this year that used CRISPR in mouse embryos to correct genes in much the same manner as proposed by Mitalipov’s team in humans7. Ma, H. et al. Nature https://doi.org/10.1038/s41586-018-0381-y (2018). Egli, D. et al. Nature https://doi.org/10.1038/s41586-018-0379-5 (2018). Adikusuma, F. et al. Nature https://doi.org/10.1038/s41586-018-0380-z (2018). Suzuki, T., Asami, M & Perry, A. C. F. Sci. Rep. 4, 7621 (2014). Kosicki, M., Tomberg, K. & Bradley, A. Nature Biotechnol. 36, 765–771 (2018). Wilde, J. J. et al. Preprint at bioRxiv https://doi.org/10.1101/263699 (2018).